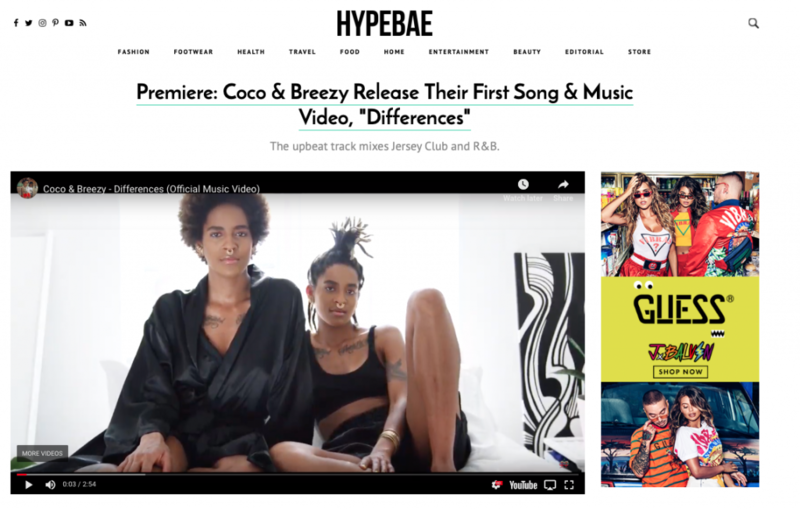 HYPEBAE premiered Coco & Breezy’s debut video “Differences” on their website and large social media following. The video debut coincides with the release of the official DJ Sliink remix which was also featured in the video. “Eyewear designer duo, producers and DJs Coco and Breezy have released a new music video for their single “Differences.” The song reimagines Ginuwine’s hit R&B single “Differences” and is mixed over infectious Jersey Club beats. The video takes us through a typical New York City day for the young entrepreneurs that work between industries.